In 2010 Matthew earned his bachelor’s degree at the University of California, Irvine (UCI) where he studied Mechanical Engineering and Environmental Engineering. Following graduation, he worked for the summer at UCI developing programming tools to aid in the visualization and analysis of wastewater processes. Following this opportunity at UCI, Matthew entered the Medical Device industry in the field of clinical diagnostics; where he worked for four and a half years as a Mechanical Engineer in Research and Development. During this time, he had the opportunity to contribute to marketed designs while gaining experience in designing for manufacturability, rapid prototyping, and manufacturing processes. 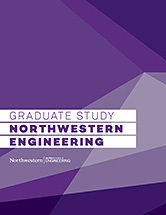 Matthew is now hoping to combine his mechanical design background with the multidisciplinary skills obtained in the Masters of Science in Robotics (MSR) program at Northwestern so that he can create truly “cool” and impactful technologies centered around human interaction with machines and the physical world. Particular fields of interest include computer vision/3-D imaging, haptic interfaces, as well as biologically-inspired design.